Fridge is an essential and indispensable commodity which ensures the good and long- lasting quality of your food. It is probably the most visited place in everyone’s home because whenever we feel the hunger we simply open it and pick up a meal. However during the whole process we simply forget one very important detail. 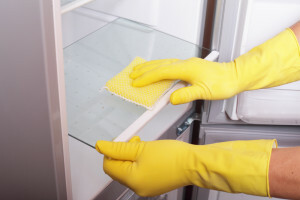 The fridge should be also regularly cleaned in order to work properly and to have a welcoming and tidy appearance. It is more than normal that when leaving all kinds of meals and drinks there, stains and dirt appear, often contributed by unpleasant smells . 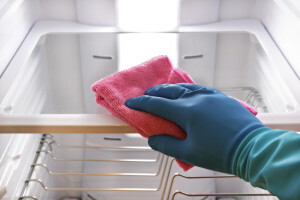 The competent and experienced team of workers will perform the fridge cleaning with the appropriate delicacy and in the same time the procedure won’t take more than 3 or 4 hours. Even more nasty stains which you consider difficult to remove will no longer bother you thanks to the innovative techniques and methods that our team uses. We will come at time which is most convenient for our clients thanks to the fact that we work even at the weekends in order to meet every customers needs. We advise you not to postpone fridge cleaning in your home because this may lead to some complications with the proper functioning of the fridge. For example when the ice in the fridge is too much, it consumes more energy which is not preferable. Another reason why to contact our team immediately is connected with hygiene issues. By this we mean that the nasty stains and dirt can cause a real damage to your health if they are not removed on time.